AFRO-EUROPE: Video: French soul singer Ben L'Oncle Soul - "Elle me dit"
Video: French soul singer Ben L'Oncle Soul - "Elle me dit"
French singer Ben L'Oncle Soul just released his video "Elle me dit". The soulful video is part of his album Ben l'Oncle Soul. Benjamin Duterde (born 1984), a.k.a. 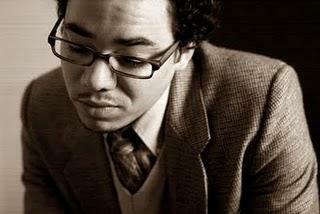 Ben L’Oncle Soul (‘Ben the Soul Uncle’), is a French nu-soul singer from the town of Tours. Duterde first gained prominence in his home country with the Soul Wash EP (2009), which featured six covers of songs by Gnarls Barkley, Spice Girls, Katy Perry and, most notably, The White Stripes (Seven Nation Army). Ben’s first full-length album, entitled simply Ben L’Oncle Soul was released in the summer of 2010 and was put out internationally on the Motown label.